It’s that time of year again–time to take an inventory of your of Blue Jeans and decide what needs to be updated. 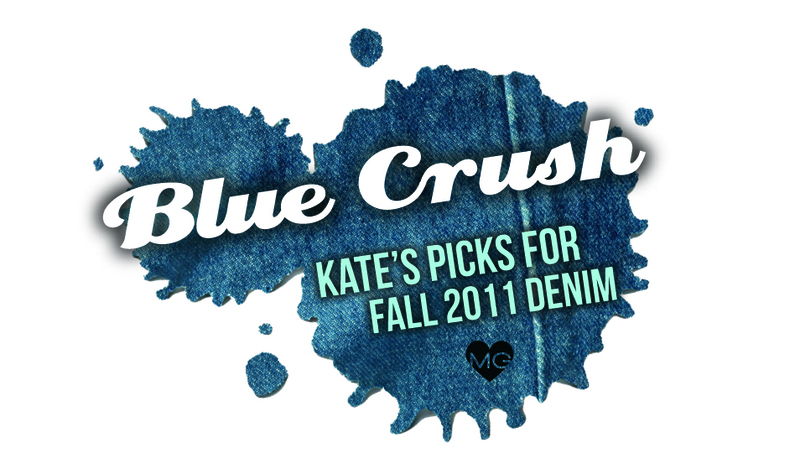 For Fall 2011, there are a lot of exciting trends happening in denim, and I can’t wait for the heat to subside so that I can get out there and rock a pair! So what do you need to know? Well, buying denim is a very important part of my job as a retailer. Denim is constantly changing, and it is a necessity to stay ahead of the trends. Bootcut? Flare or Skinny? This is a top question every season, and the unique thing about Fall 2011 is that they were all equally selling through. Skinny jeans remain important but have taken on a few new twists. Many companies like JBrand, Citizens, and Mother turned up the vibe by making a more “tailored pant” type of jean. By using twill and velvet fabrications and playing with different crop variations, skinny jeans for fall seem to resemble a throw back to the 50’s. Pair with a tie front button down and a pair of pointy toe stilletos and you have nailed the look! Bootcuts will always be around because they are a necessity. I think many companies like Paige, Husdon, Seven and AG stick to a basic proven body but have just tampered with thier washes. I have seen a lot of dark colorations with fewer wiskering–and also tints thrown over the dye like deep navy’s and green hues to add something special. The 70’s inspired flares that were around for Spring are still important but they too have been updated. For Fall, look for new fabrications and details. My favorites are from JBrand and Citizens. 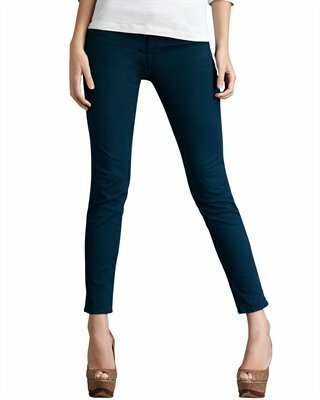 JBrand used really amazing 70’s inspired rust, blue, and green hued cordoroy to re vamp it’s ever popular LoveStory BellBottom Jean. Citizens chose to bring in vibrant hued velvet to put the finishing touches on their Fall Flares. I am so excited to get these styles in. Denim is a very important part of one’s wardrobe, so it is crucial that you trust your sales stylist to be honest with you about fit, flattery and age appropriate styles. If you would like to make an appointment with either me or Amanda, please give us a call (985.917.0134) or email us (service@ilovematerialgirl.com). Hope to see you soon!